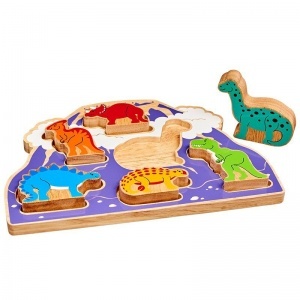 Lanka Kade Fair Trade wooden Dinosaur Shape Sorter. 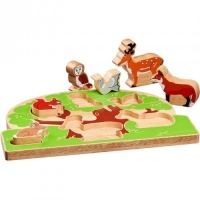 An ethically made first wooden puzzle from Lanka Kade, ideal for toddlers. 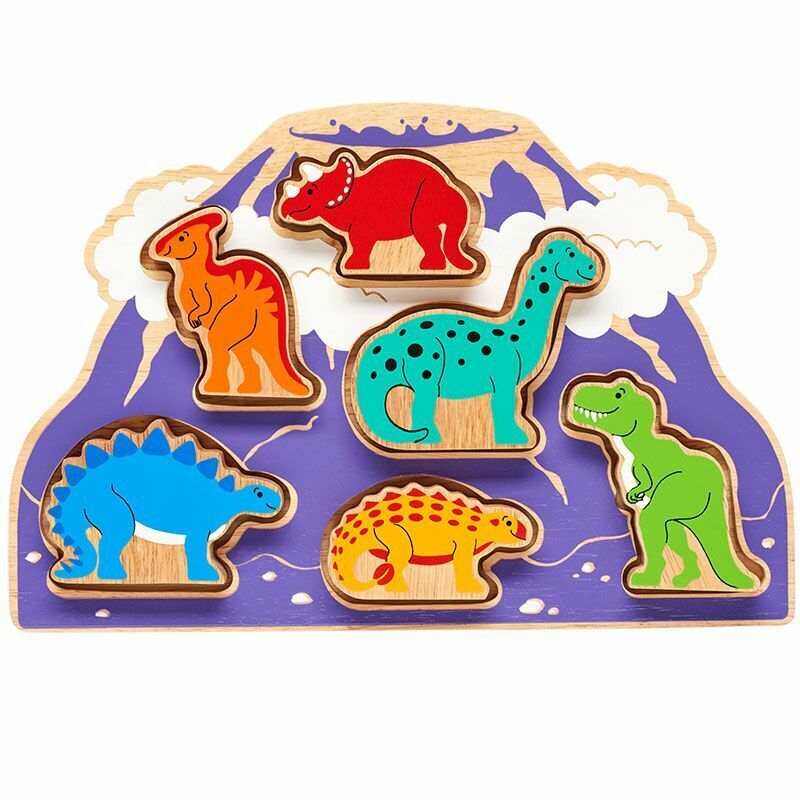 A gorgeous purple volcano picture on a sorting tray with six chunky easy to grasp dinosaurs. 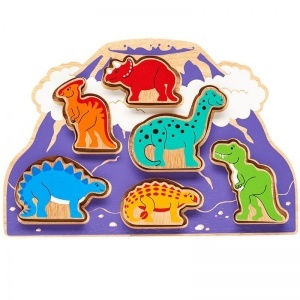 The six pieces included are a Diplodocus, Triceratops, T-Rex, Saichania, Parasaurolophus, and Stegosaurus Every dinosaur has been painted on both sides so they can be used as a playset as well as finding the right places for them on the tray. 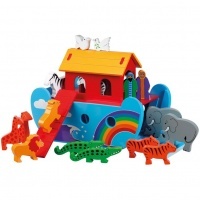 Made from sustainable rubberwood the pieces encourage sensory play as well as hand-eye coordination and fine motor skills.